operation | Her legacy, my life. Five or so years after the passing of my brother my health was up and down. I was in and out of hospital quite a lot and my lung function was deteriorating. I was frequently coughing up a lot of blood, losing substantial amounts of weight and I had to have a G-tube (feeding tube) inserted. I had a chat with my Consultant on Valentine’s day 2005, he sent me an official appointment, which was rare as I normally just saw him at the monthly clinic so I knew something was up. He announced that I would require a lung transplant due to the constant blood loss and being unable to seal the bleeding areas. In that moment I felt taken aback. This would mean I had a choice, risk a transplant and hope for the best or just lose myself to Cystic Fibrosis. With the transplant I had a chance at a new life, a chance to feel the air power through my lungs or the risk of death, just like my brother. I decided to go for the transplant there and then. I didn’t need time to think. I had thought about all of the potential options numerous times and weighed up the pros and cons. I knew I had to do it. A successful transplant would mean giving my daughter the mum she had always wanted. Being able to keep up with her, run, swim, laugh, travel with her. It would mean a new life for all of us, a better one. Heck, it might even mean I will be around much longer than I could have ever hoped. Telling my daughter was nerve-wrecking. She was only 11 years old. I was dreading explaining it all to her. She had seen the devastation my brother’s passing caused, she knew how serious a transplant was. She was so young and innocent, too young to lose her mother. When I broke the news to her the first thing she asked was ‘why?’ Followed by ‘Is there a chance you will die like Maurice?’ I answered all of her questions honestly. She was strong. She was brave. She didn’t cry. She simply accepted the answers I gave her and gave me a big hug. Ten minutes later she was back to playing with Barbie dolls. Watching her, sweet, tiny playing away, blissfully hopeful killed me a little. Did she really understand what I was saying? Is she nervous? I went for my transplant assessment in Newcastle, England. They checked out if I was sick enough for a transplant and if I was well enough to make it through the major surgery. Being in the Transplant wing made everything so real. It was no longer just this fantasy of a new life with new lungs. Now it was a drastic choice with numerous drawbacks and downfalls. I could die. I could genuinely lose my life. What would my family do then? How would my own parents feel losing another child the same way they lost the first one? I chose not to visit the room Maurice was in post-transplant as it would bring back too many heart-breaking memories. So now we played the waiting game. They told me I could get the call at anytime. I had my bag packed and ready to go…. You can follow me on twitter @Christina1Kenny. 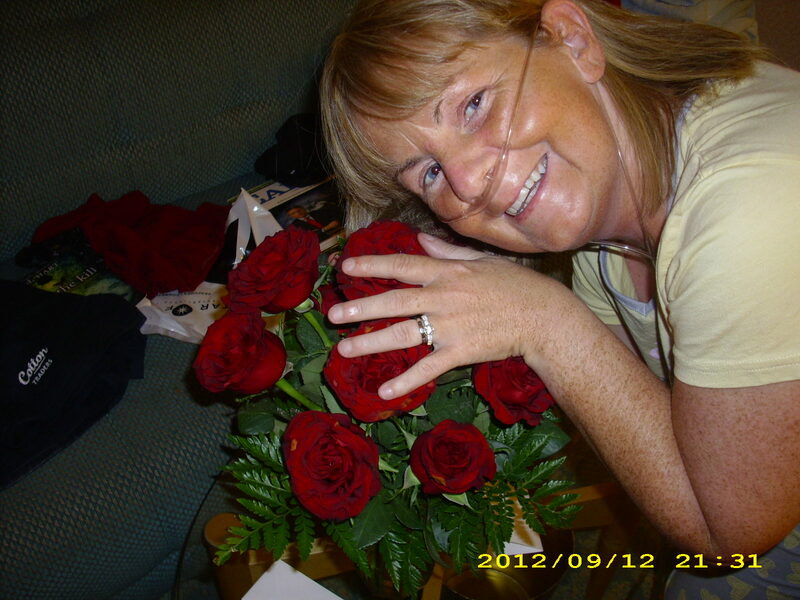 I tweet about life with a mum suffering with CF! -Christina.